Suffering. Physical pain, mental or emotional anguish, loneliness and depression, starvation, disabilities; the list could go on. They have been with us from the beginning, or almost. Countless people suffer from these not just once in a while, but on a daily basis. It can make life almost unbearable. People have committed suicide for less. Have you looked at your body lately? It isn’t made to last; to continuously rejuvenate itself forever. It wears out. For some of us, it happens early or it develops problems we weren’t meant to have in the original plan. The whole world is suffering in one way or another. Ever since the fall of man, pain and suffering have played a part in every human being’s life. It seems to be increasing as time goes on. New diseases and illnesses are being diagnosed all the time. Each generation seems to be getting more and more viruses and cancers; stress itself is a killer. Does it have to be this way? Yes, unfortunately for now it does. As long as this earth remains, pain and the varied forms of suffering will remain. Is it worth it then, to live a life filled with pain, with suffering? It is if you are a born-again believer. Why? The moment we become believers, our outlook should shift from the world we live in today to our future home in eternity. We should begin longing for the day that we will see our Savior face to face; to begin eternity with Him. But we also should be looking forward to it for another reason, that of redeeming our bodies. …even we ourselves groan within ourselves, eagerly waiting for the adoption, the redemption of our body. For we were saved in this hope, but hope that is seen is not hope; for why does one still hope for what he sees? But if we hope for what we do not see, we eagerly wait for it with perseverance. In the midst of our sufferings God is working. He isn’t just sitting back watching. No, He is quite active in our lives. He is drawing us to Him for growth, for dependence on Him and to deepen our faith He is preparing us for our life with Him in eternity. …that we should not trust in ourselves but in God who raises the dead, who delivered us from so great a death, and does deliver us; in whom we trust that He will still deliver us. Our lives are a witness to the world of His sustaining power. He brings others into our lives so they can see our example and be encouraged. Through times of pain or adversity we can cling to Him, call out to our Father and be heard. Due to the experience and lessons learned, we are now prepared to help and offer comfort to others who are going through much of the same things. The bible is also full of examples of believers going through suffering. Afterwards they were the better for it. These Old and New Testament believers became stronger in their faith and trust; bolder in their prayer lives. They were able to share the sustaining love of the Father which they themselves had experienced. 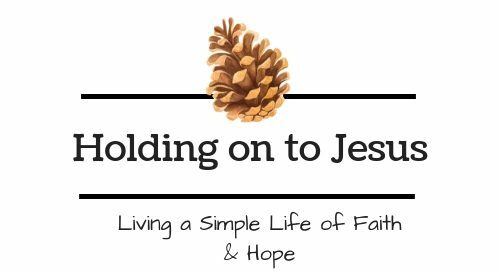 Have you heard of the ‘Faith’ chapter Hebrews 11? It is a roll call of bible heroes, who went through so much, because they had the hope of glory. They were looking forward to the kingdom and they eventually found it. These all died in faith, not having received the promises, but having seen them afar off were assured of them, embraced them and confessed that they were strangers and pilgrims on the earth. For those who say such things declare plainly that they seek a homeland. I can’t wait to see Jesus! I also have a new home waiting for me. Knowing this makes me yearn for Heaven even more. Knowing that He is waiting there for me makes what I face here a bit easier. I know you face challenges and pain that bring you to the end of your rope. You wonder how you can go on. God is there for you. He will hold you up, He will ease your suffering and bring you through it. Pray and ask for help. He feels your pain and sees your struggles. …You have heard of the perseverance of Job and seen the end intended by the Lord—that the Lord is very compassionate and merciful. Look to Jesus, the ‘finisher’ of our faith. He left earth to prepare a home for you. He eagerly waits to bring us to Him. He can’t wait until He can show us such wonders beyond imagination. The great Physician is waiting to make you anew. That is what makes this life worth the wait. This is beautifully written and very timely for me. This past week I have lost two different friends and grief and pain is very evident in our lives and the lives of all our friends that these deaths have affected. I think the part that ministered to me the most was this paragraph “In the midst of our sufferings God is working. He isn’t just sitting back watching. No, He is quite active in our lives. He is drawing us to Him for growth, for dependence on Him and to deepen our faith He is preparing us for our life with Him in eternity.” Thank you for this reminder. Thank you for your sweet comment. I am always glad to hear that it has ministered to sometime, but I am sorry to hear of your loss. I will be praying for you. Let me know how you get on, won’t you?